Glass is one of the oldest man made material used without interruption from its invention to this date. The exact period of glass history is unknown; however the oldest found date is 7000 B.C. in the Neolithic period. It was first used in Egypt for decorative objects before 3000 B.C. mainly as colored glaze on stone, pottery and beads but its use in windows appears to have been initiated by Romans. During the seventeenth century the development of lead glass made a major step forward in enabling the manufacture of large glazing for windows, “a technology that brought glass into the history of architecture”. The rise of interest in greenhouses and conservatories in 1800 led to the mass marketing for use of glass in architecture. New types of buildings including exhibition halls, railway stations and other public buildings permitted for the design of large well lit spaces. Until 1851, glass was considered to be a luxury good, the conception which was gradually diminished during the industrial revolution due to increased availability of glass. Gradually iron and steel developments running parallel to glass made advancements in metal framing technology with the possibility of large glass expanses, thus making it an inseparable part of modern architecture. Construction of the Crystal Palace in 1851, by Joseph Paxton in London marked the transformation of architecture’s traditional opaqueness by creating transparency through glass. He brought glass from the greenhouse to the architectural domain for the first time. To achieve uniformly lit interior space and using daylight as the only source of light was one of the major objectives for this project. Thus, in order to pacify the intense sunlight and glare created by this extreme transparency, translucent screens of calico were hung externally in-between the ridge beams of the roof glazing and covered the entire surface of the highly exposed horizontal section of the roof. 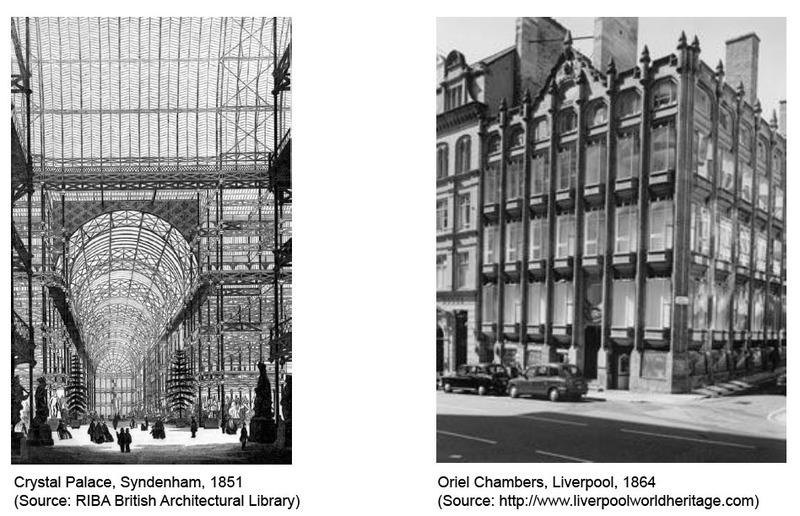 The concept of transparent wall arrived with Paxton’s Crystal palace and was carried forward as a glass curtain wall experiment in 1864 in Oriel Chambers, Liverpool by Peter Ellis. It demonstrated an exceptionally early use of curtain wall glazing and iron frame to maximize light, and minimize solid wall, and strongly influenced commercial architecture in North America. This inspiration could be seen in Willis Polk’s Hallidie office building in San Francisco (1918) considered as the first curtain wall building in United States. However, this building is not considered very comfortable on sunny days due to south facing glass facade. 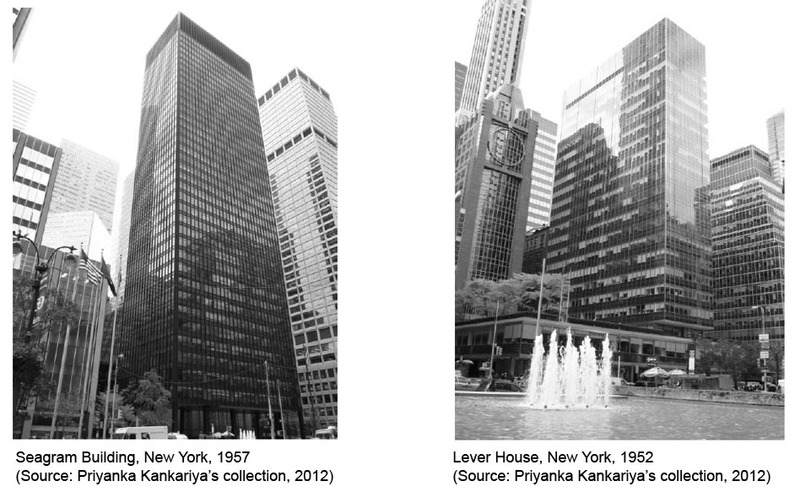 Architects were increasingly fascinated by the notion of transparent, all-glass buildings. In the first half of twentieth century, Chicago architects were constructing America’s first high-rise glazed buildings, while in 1922, Germany’s Ludwig Mies van der Rohe envisioned and crafted models of hypothetical 20 and 30 story skyscrapers clad totally in glass which resembles buildings currently being constructed today. It wasn’t until the middle of the last century that technology allowed for the construction of multi-story glass facades such as those on Bunshaft’s Lever House and Mies van der Rohe’s Seagram Building, and the many other glass skyscrapers that comprise the Manhattan skyline. 1. Buters, F. (2005). 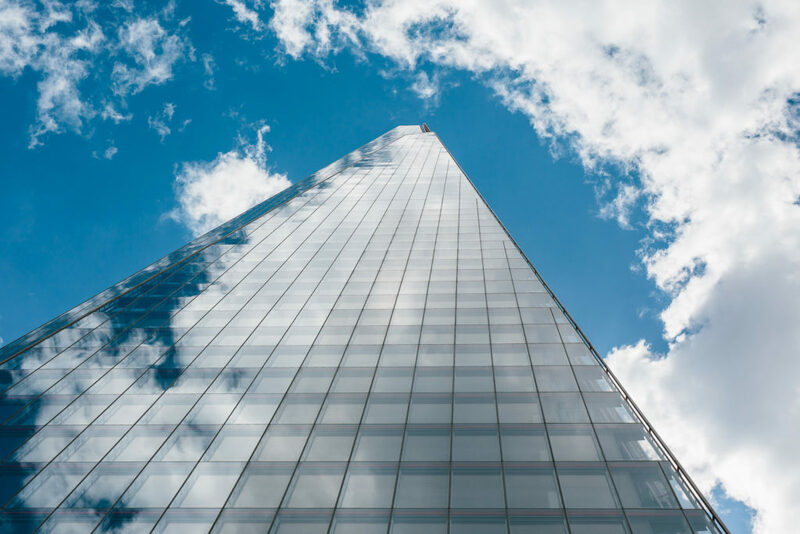 Glass architecture: is it sustainable? International Conference “Passive and Low Energy Cooling for the Built Environment”, Santorini, Greece. 2. Carmody, J., Selkowitz S., Lee, L., Arasteh, D., Willmert, T. (2004). Window Systems for High-Performance Buildings. New York: W. W. Norton & Company. 3. Elkadi, H. (2006). Cultures of Glass Architecture. England: Ashgate Publishing Limited. 4. Roger Mears Architects Publication. Historic guide to glazing. London: Planning Department of the London Borough of Islington. 5. Schoenefeldt, H. (2008). The Crystal Palace, environmentally considered. Architecture research quarterly, 12, 283-294. Cambridge University Press. 6. Thomas, L. (2008). “As Large as the Situation of the Columns Would Allow” Building Cladding and Plate Glass in the Chicago Skyscraper, 1885–1905. Technology and Culture. 49 (2), 399-419. It is thought the techniques and recipes required for the initial fusing of glass from raw materials was a closely guarded technological secret reserved for the large palace industries of powerful states. This quality makes that side of the glass easier to be coated in order to turn it into a mirror, however that side is also softer and easier to scratch. Since the Roman era, advancements in technology have driven down the cost of window glass, making it a staple in commercial and residential architecture. Defining brand, naming the firm and logo design. This is the first blog in BIM awareness series. How utilization of BIM can help in achieving better quality buildings at lower cost and reduced project duration.